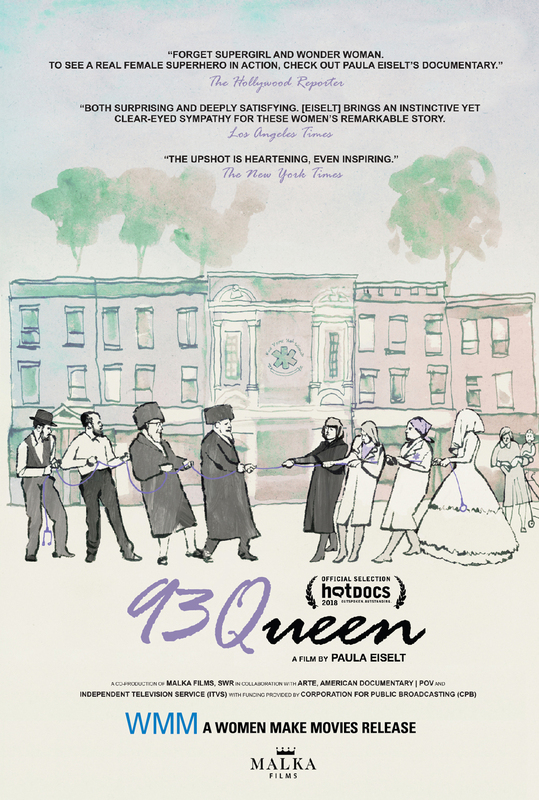 93QUEEN is the inspirational story of Rachel “Ruchie” Freier, a no-nonsense Hasidic lawyer and mother of six who is determined to shake up the boy’s club in her community by creating Ezras Nashim, the first all-female volunteer ambulance corps in New York City. In the Hasidic enclave of Borough Park, Brooklyn, EMS corps have long been the province of men. Though the neighborhood is home to the largest volunteer ambulance corps in the world, that organization has steadfastly banned women from its ranks. Now Ruchie and a group of tenacious Hasidic women are risking their reputations and the futures of their children to provide dignified emergency medical care to the Hasidic women and girls of Borough Park. Through it all, we see them grappling to balance their faith with their nascent feminism, even as they are confronted by the patriarchal attitudes that so dominate Hasidic society. With unprecedented insider access, 93QUEEN offers a unique portrayal of a group of empowered religious women who are taking matters into their own hands to change their own community from within. "93Queen expertly takes you into trials and tribulations, victories and reversals right out of a narrative film." "Director Paula Eiselt takes a measured, respectful approach, showing the highs and the many lows of being a modern trailblazer; particularly in such a secular, traditional environment." "Heartening, unexpected...both surprising and deeply satisfying. [Eiselt] brings an instinctive yet clear-eyed sympathy for these women’s remarkable story." "Offers a rare glimpse into a closely guarded area." "Watching 'Ruchie' and her team of women take initiative and defy the patriarchal rules of their community is inspiring." 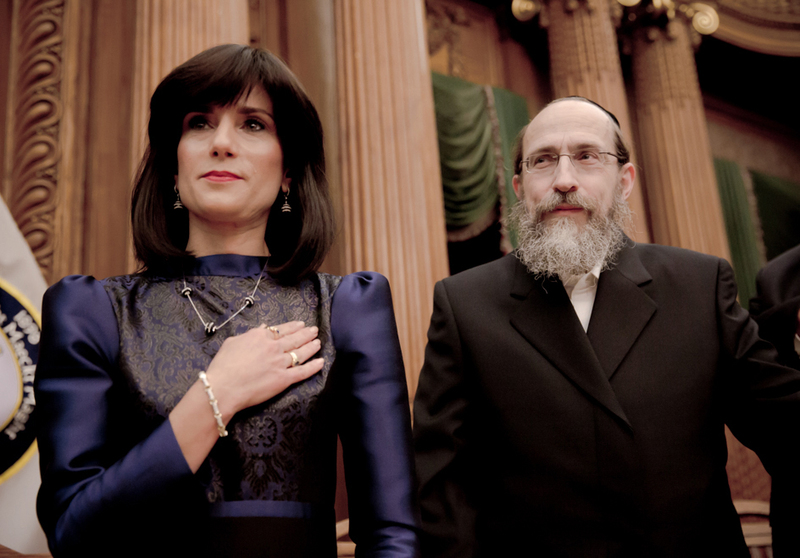 "It’s a fascinating, intimate look at a world largely shrouded from outsiders but especially it’s about a remarkable woman - Freier, 53, a mother of six, who would become the first Hasidic woman to hold public office in the United States." 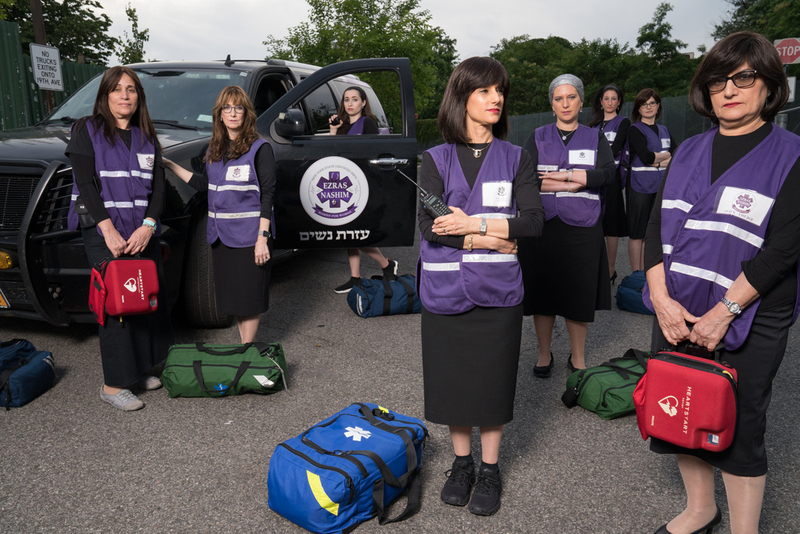 "This documentary about the creation of the first all-female Hasidic EMT corps is fascinating and inspirational." Paula Eiselt is an independent filmmaker and graduate of NYU's Tisch School of the Arts with a double major in Film Production and Cinema Studies. Her work has been supported by the Independent Television Service (ITVS); the Sundance Institute Documentary Film Program with support from Open Society Foundations and Just Films | Ford Foundation; the New York State Council on the Arts (NYSCA); Fork Films; the Gucci Tribeca Documentary Fund, with support from the Oath Foundation; the International Documentary Association Pare Lorentz Documentary Fund; Picture Motion; the Hartley Film Foundation; the Independent Filmmaker Project (IFP); and Women Make Movies (WMM). Eiselt currently lives in NJ with her husband, two curious sons and a sassy daughter - although she will always remain a New Yorker. Why is it that some young, independent, progressive women in today's society feel uncomfortable identifying with the F-word? 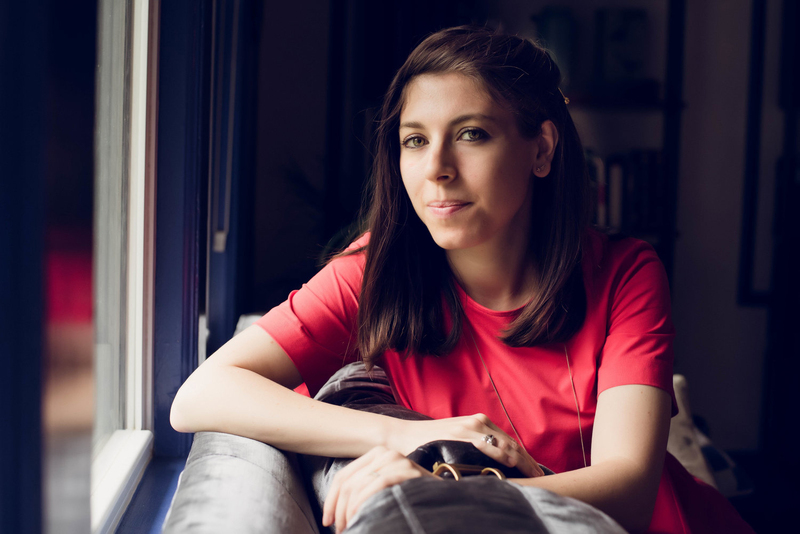 Join filmmaker Therese Shechter as she takes a funny, moving and very personal journey into the heart of feminism. Armed with a video camera and an irreverent sense of humor, Shechter talks with feminist superstars, rowdy frat boys, liberated Cosmo girls and Radical Cheerleaders, all in her quest to find out whether feminism can still be a source of personal and political power. In this enlightening documentary, screened worldwide, Shechter hunts down the answers to questions many women are grappling with about their roles and identities in today’s society: Is feminism dead, hibernating, or trapped below the radar? Have the goals of the ‘70s been accomplished or have feminism’s opponents appropriated and denigrated the movement beyond all recognition? If so, how did this happen? Do you have to be political to be a feminist? And do you even have to be female? With home movies clips of Shechter as a budding feminist, archival materials from old health classes, and music by Ani DiFranco, Lavababy, Gina Young, Moxie Starpark and the legendary Helen Reddy, I WAS A TEENAGE FEMINIST redefines the F-Word for a new generation. Riding at night through streets deemed dangerous in Eastside Los Angeles, the Ovarian Psycos use their bicycles to confront the violence in their lives. At the helm of the crew is founder Xela de la X, a single mother and poet M.C. dedicated to recruiting an unapologetic, misfit crew of women of color. The film intimately chronicles Xela as she struggles to strike a balance between her activism and nine year old daughter Yoli; street artist Andi who is estranged from her family and journeys to become a leader within the crew; and bright eyed recruit Evie, who despite poverty, and the concerns of her protective Salvadoran mother, discovers a newfound confidence. The film Ovarian Psycos rides along with the Ova’s, exploring the impact of the group’s activism, born of feminist ideals, Indigenous understanding and an urban/hood mentality, on neighborhood women and communities as they confront injustice, racism, and violence, and take back their streets one ride at a time. Heather Booth is the most influential person you never heard of. The newest film by critically acclaimed filmmaker Lilly Rivlin, HEATHER BOOTH: CHANGING THE WORLD is an urgent response to the recent change in administration. At a time when many are wondering how to make their voices heard, when civil and women's rights are under attack, this empowering documentary is an inspiring look at how social change happens. Heather Booth, a renowned organizer and activist, began her remarkable career at the height of the Civil Rights movement. Through her life and work this inspiring film explores many of the most pivotal moments in progressive movements that altered our history over the last fifty years: from her involvement with Fannie Lou Hamer and the Freedom Summer Project, to her founding of the JANE Underground in 1964, to her personal relationships with respected leaders such as Julian Bond and Senator Elizabeth Warren. HEATHER BOOTH: CHANGING THE WORLD blends interviews, from close friends, clients, political colleagues and current Midwest Academy students to explore Heather’s legacy in progressive politics and organizing. Anyone who has been confused or disheartened by the recent election needs to see this film.